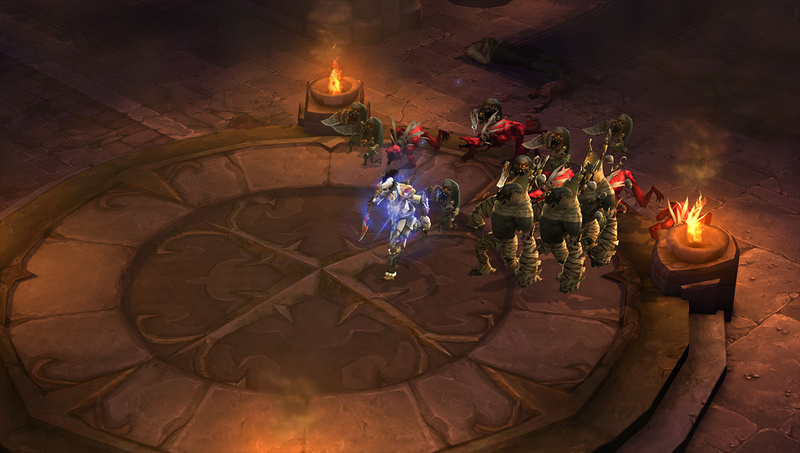 Introduced in Patch 2.1.0, Legendary Gems are one of the many methods by which players can vastly improve their character’s strength through perseverance and dedication. Obtained by defeating Greater Rift Guardians, these socketable facets of raw power grow alongside your nephalem with each new tier of difficulty you conquer. In Patch 2.4.1, we’ll be making notable changes to a handful of Legendary Gems. Before we get into those changes and the reasoning behind them, we want to take a deep dive into the design structure behind Legendary Gems. Some gems have much more broadly defined roles than others. For example, gems like Esoteric Alteration or Molten Wildebeest’s Gizzard are meant to buff up your defensive capabilities. These gems might serve the same role, but they each do so in a different way. Overlap isn’t always a bad thing, as we want players to have choices that can suit different needs. Others serve particular playstyle niches rather than generalized purposes. Enforcer, Boyarsky’s Chip or Zei’s Stone of Vengeance are all gems with clearly defined specializations. These are the gems you think of first when you are pursuing a particular playstyle. If you’re exploring a Thorns build, Boyarsky’s Chip should be a no-brainer. If you like the kite-and-fight style, then Zei’s Stone of Vengeance should be a go-to. Builds should have some reliable choices that reinforce their general gameplay. 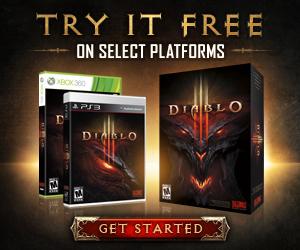 Some gems are less focused on overall character power and more on enhancing different gameplay activities. Boon of the Hoarder and Gem of Ease support specific goals, farming gold and leveling characters, respectively. While these aren’t the kinds of gems you’re likely to find on a build that’s pushing high level Greater Rifts, they serve their purposes well. We also have gems that are considered more utility oriented. These types of gems often provide multiple types of benefits or focus on specific stats, though perhaps at lower values than a gem that is more specialized for damage or defense. Which gems filled these roles was a little muddier in the past than we liked, so in Patch 2.4.1 we’re creating more that fall into this category and making their utility shine through more clearly. Finally, there are gems that might fall into more than one of the above categories. These are often good everyman’s gems or general options that are great for beginners or those who don’t want to fuss too much over their gem choice. Bane of the Powerful and Wreath of Lightning are prime examples, as they are both reliable, straight forward, and useful in virtually any build. As we mentioned, some gems simply weren’t falling into one of the above categories or, if they were, weren’t serving their function as well as they could be. While we aren’t updating every Legendary Gem that might need a little help (and it’s possible we’ll re-examine other gems in the future), there are quite a few that stuck out to us as either needing more clearly defined roles or just that layer of new polish to keep them up to date in a Sanctuary that’s evolved over time. You’ll find more details in our PTR patch notes, including the most recent updates and a more comprehensive list, but we’d like to dig into some specific changes and the philosophy behind them. In addition to giving a bump in power to pet builds, we wanted to add more survivability to pets overall. This gem should be the obvious choice to players who run a pet build, but the benefit wasn’t always worth the socket. This should be a much clearer choice now. You may be wondering why the Rank 25 bonus doesn’t make pets invulnerable. 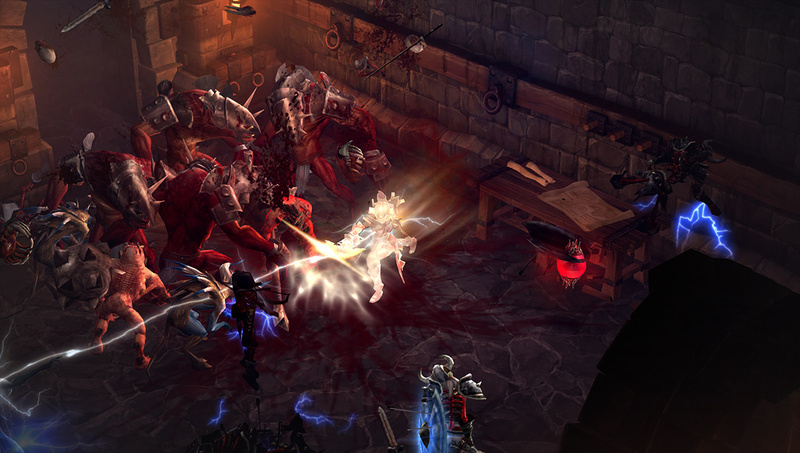 While we’ve seen this suggestion frequently, part of the Diablo experience is a sense of unpredictability and needing to adapt in dire situations. Extremes where your pets are always dead or permanently alive are much less interesting gameplay experiences than making a conscious effort to monitor your pets’ health and re-summon them if they’re in danger. When we originally designed Gogok of Swiftness, it was built around the assumption that this buff would be constantly dropping on and off. The goal was to have a higher total potential that we knew wouldn’t always be present. Ultimately, we decided against that design and instead opted to tune its values around Swiftness more or less always being up. This assumption allows us more control over number tuning. Gogok of Swiftness provides very specific buffs and serves as a utility gem. However, it was lacking multi-purpose functionality, so we’ve added a Toughness component in the form of a Dodge bonus. This should make Gogok a more competitive choice for players who are either looking specifically to stack Attack Speed or Cooldown Reduction (or both!) while providing extra Toughness in the process. Like Gogok of Swiftness, Mirinae had a slightly different goal in mind when it was first designed. Its concept was to be the “single-target” gem, ideal for builds who focused more on area of effect abilities and needed a boost on single targets (like Rift Guardians). When we introduced Bane of the Stricken, Mirinae fell to the wayside and needed a tweak to breathe new life into it. So why not make it breathe life into the player? Rather than have Mirinae compete with Bane of the Stricken (and wind up creating a math problem for players), we added defense to the gem in the form of a bonus heal to create a different incentive to use it. This lands this gem in a more utility-driven area, providing a new and interesting option that may be appealing for builds that need both extra regeneration and single-target damage. Similar to the changes coming to Enforcer, Simplicity’s Strength should just feel like the right choice for builds that want to focus on primary skills. From the beginning, that’s precisely what this gem was meant to do; it just needed some additional tweaks to ensure it really owned that role. As we’ve already discussed, Taeguk too often felt like the right choice no matter which build you were running. It had no particular niche or role and, it was mechanically awkward to use and gain the most benefit. It was meant to work best for builds running channeling skills like Whirlwind or Strafe, and we didn’t want to encourage players to spam skills like Multishot or Hammer of the Ancients into empty space just to maintain the buff. That said, we recognize a lot of classes feel as though they’ve lost a tool in their kit with the above changes; this is why so many other gems have been revisited and will be gaining similar components to those that made Taeguk so desirable. The goal wasn’t just to create a clearer, more communicated identity for Taeguk, but to also provide many builds a variety of options that represent different strengths and preferences. 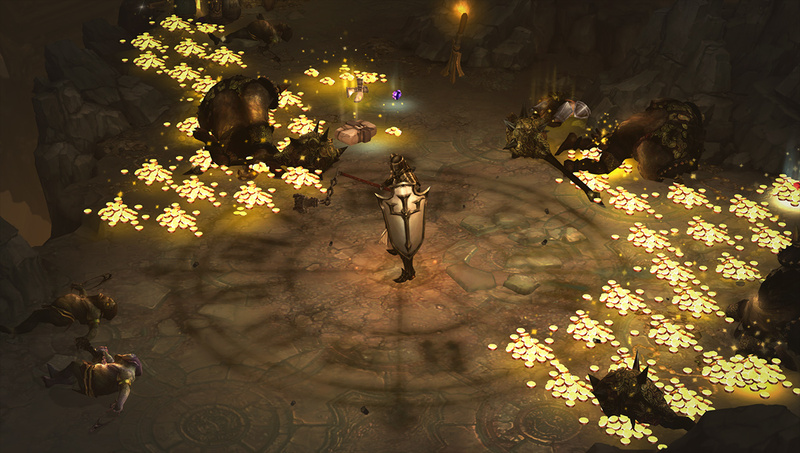 We hope you’ve enjoyed this insight into the changes coming to Legendary Gems in Patch 2.4.1. These aren’t the only changes coming, so if you haven’t already, be sure to log into the PTR, try out some (or all) of these changes, and let us know your thoughts. It’s important to us that the community has a chance to get their hands on these shiny baubles and give them a go. Your feedback is some of the most valuable loot we could hope to have drop, and we look forward to hearing what you have to say!